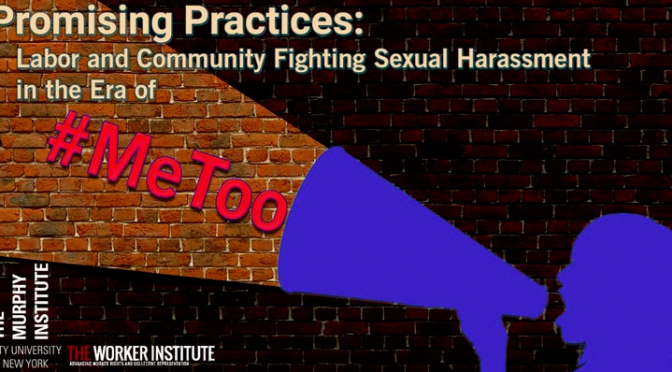 An interactive program bringing strategies, resources, and creativity together to create an equity framework for fighting harassment in the workplace and community. Jenny DeBower, Center for Anti-Violence Education – Finding and Raising your Voice! The Workers Unite! Film Festival aims to showcase student and professional films from the United States and around the world which publicize and highlight the struggles, successes and daily lives of all workers in their efforts to unite and organize for better living conditions and social justice. This year we honor the Joseph Murphy Institute for Workers Education and Labor Studies, based at The City University of NY. Faculty of the World, Unite? 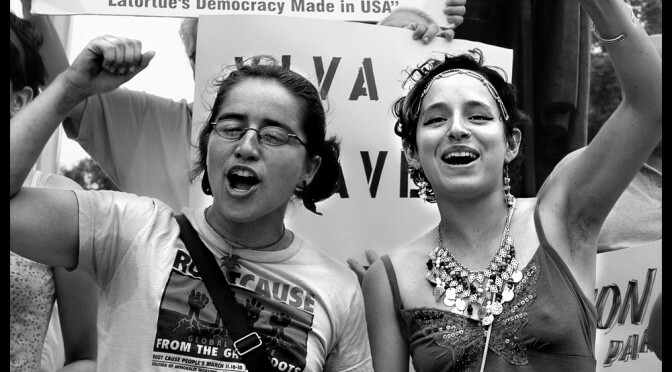 Years of organizing, agitating, occupying and strategizing have brought the issue of low wage and precarious work to the forefront of contemporary economic discussion. Fast food and retail are not the only sectors where such low wage work has become the norm: higher education is increasingly structured along the same logic. One of the central slogans taken up by students and professors at today’s May Day march and rally is “May Day $5K” – a call for a minimum payment of $5,000 per college class taught by part-time and contingent faculty. This demand is being made alongside calls for job security, health benefits, and other improved working conditions for the contingent instructional staff that now comprises 75 percent of all college faculty members. Shamefully, CUNY pays adjuncts closer to $3,000 per class, and it’s not an outlier. One of the great ironies is that workers all over the world celebrate Labor Day on May 1st, not the first Monday in September, the way we do in the U.S. Most people assume the choice of May 1st has something to do with the former Soviet Union. They don’t realize that the idea to celebrate May Day, International Workers’ Day, in fact traces its roots all the way back to Chicago in 1886. This was a period of enormous U.S. economic growth, with millions of immigrant workers from Europe, Mexico, and China pouring into the cities and countryside to work in the mills, factories, fields, and mines. Working conditions and wages were deplorable; workers sometimes toiled 12, 14 or even 16 hours a day, 6 or 7 days a week for meager wages.